I work at Edinburgh College in our Music & Sound Production department, and we are big fans of your X1R ribbon mics (amongst other things). But the X1R’s take this in their stride, and we’ve never had one fail. When we discovered one of them in its case looking like it does in the attached pictures. It looked pretty bad, and some definite force had been involved to damage the capsule to that degree. We were almost certain that the delicate ribbon inside would not have had a chance to survive, as it looked like a heavy guitar amp had been dropped on it from a height, or a door closed forcefully on it. So you can imagine our surprise when I plugged it in to test it, and it sounded as good as new! No change, no internal damage, still sounding great, although looking like it had been through the wars. I felt I had to send you a message to let you know how impressed we are with these mics, both in sound quality and in their obvious durability under heavy use. So this one is now back in circulation (although looking slightly more bulbous after re-shaping the grille…) with our range of other mics, and will live see many more days, months, and years of use. Thank you for making such a high-quality product, and I can whole-heartedly say that we would not hesitate to recommend these mics to anyone looking for a robust yet sweet sounding ribbon mic. 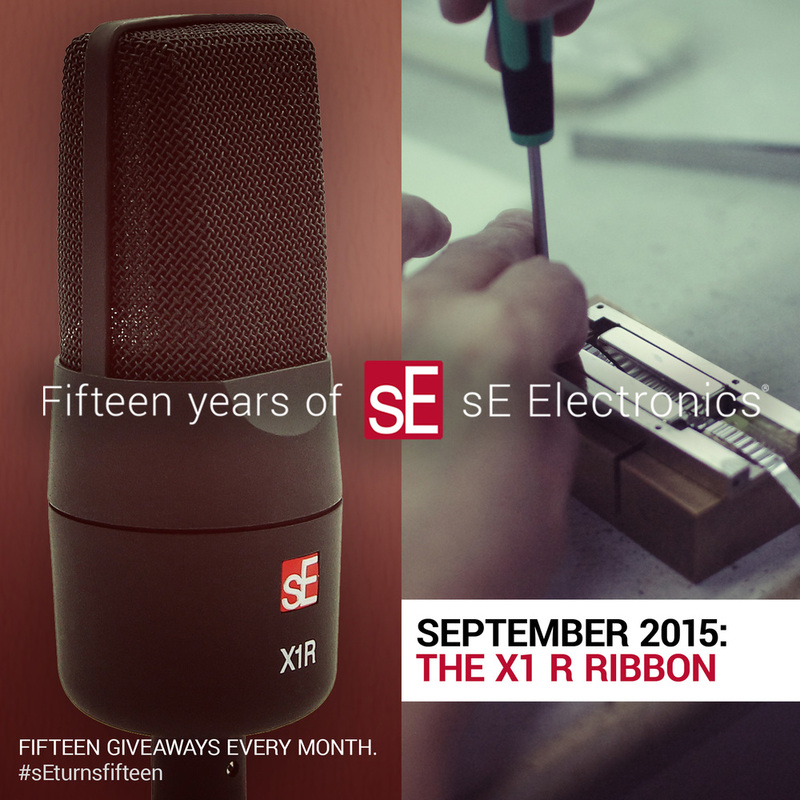 As part of our massive 15th Anniversary Celebration, we're giving away fifteen X1 R ribbon mics this month. Click below to read the details and enter the contest, or click here to learn more about the X1 R (and hear it in action! ).